When it comes to the upcoming smartphone offerings from Huawei, we have been hearing (and being teased) of three handsets to come, namely the P20, P20 Pro and P20 Lite. While the first two are currently scheduled to be formally launched on March 27 through an event in Paris, the youngest sibling of the pack has just been revealed in China and it is known in the Chinese market as the Nova 3e. And yes, it has the notch up its screen which holds only the 24MP front facing camera, earpiece, and a sensor. By numbers, it packs a 5.84-inch Full HD+ display with 2280 x 1080 resolution and a 2.5D curved glass panel to give it more premium look on the front side. Inside the Nova 3e is a Huawei-made octa-core Kirin 659 processor partnered with 4GB of RAM. As for its storage option, it will be offered in two variants - 64GB and 128GB. It can still support microSD card for additional storage space of up to 256GB. On the back panel, this will hold dual camera set up. The main shooter is pegged at 16MP with f/2.2 aperture and phase detection autofocus, it is paired with a 2MP camera for more depth of field and blurred background effects. And one of the nicest things about this phone is it will come pre-installed with Android 8.0 Oreo with EMUI 8.0 right out of the box. 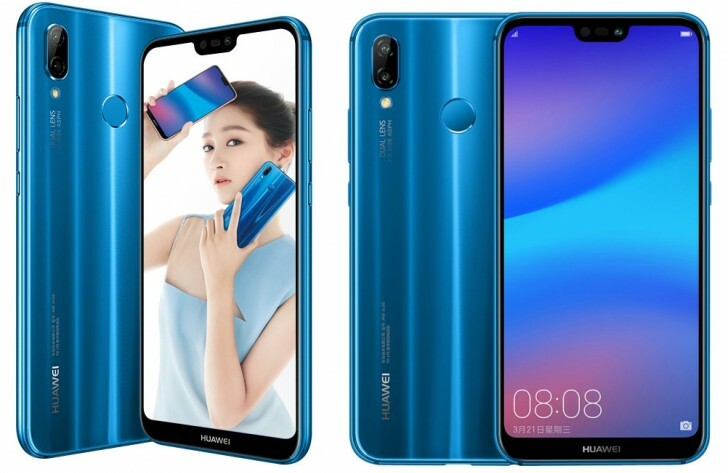 Right now, the Huawei Nova 3e is now up for pre-order in China with price tags of CNY 1,999 for the 64GB variant and CNY 2,199 for the bigger 128GB version. The handset will be available as early as March 27.